Happy Friday everyone! Jess is in the kitchen baking cookies (and they smell AMAZING), so I’m on Kickstarter duty in the meantime. 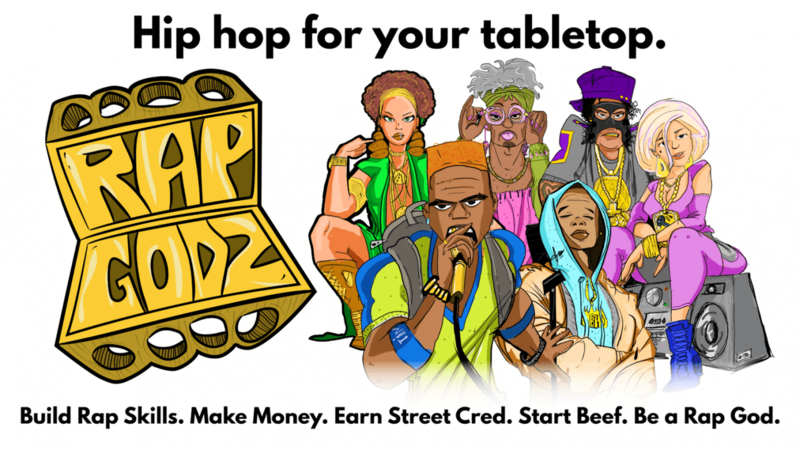 Here are five tasty Kickstarters running right now for your perusing pleasure! This one looks pretty unique. Blending the theme of young hiphop artists coming up from their home neighborhoods with card drafting and a tremendous amount of artwork, Rap Godz looks like its shaping up to be something really special. Players take on the roles of these hungry new artists, who develop their skills over the course of the game, produce albums, earn renown, beef with each other, and generally compete to see who’s going to come out on top and be crowned, you guessed it, the new Rap God. I have to say, when I started playing Horizon Zero Dawn, I was stunned at the designs of the creatures and of the world that Aloy inhabits. I suppose it’s only inevitable, given the visual grandure of the creature designs, that any board game adaptation would need to include detailed miniatures. Well, this Kickstarter is just chock full of them! 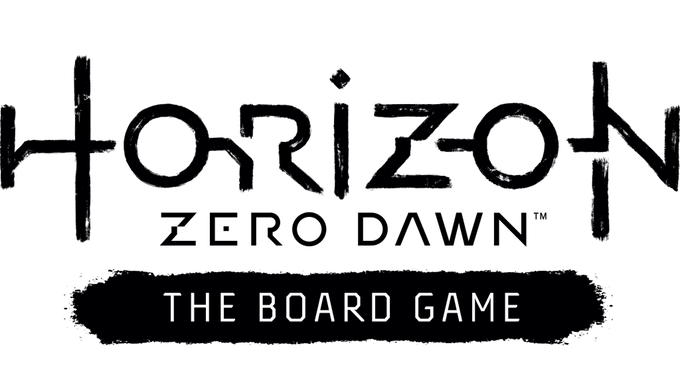 The tactical nature of Horizon Zero Dawn The Board Game can either be played cooperatively or competitively, with hunters defeating foes of myriad size and shape. Andrew: My only concern with a game like this is that I sincerely hope there’s a good game buried under all those Kickstarter-Exclusive expansions and miniatures. But the presentation does look awesome, so it’s probably worth checking out! So this is an interesting development. 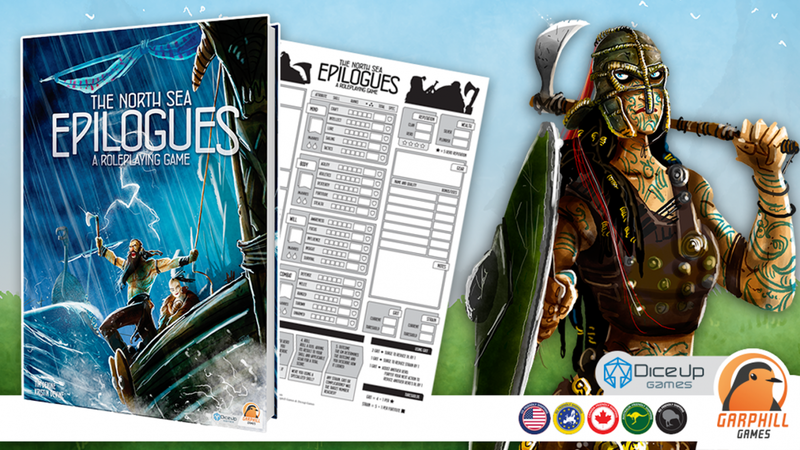 From the minds behind the beautifully illustrated and delightfully designed North Sea Trilogy, comes a roleplaying game set in that world. Players can take on the roles of bold viking adventurers as they strike out into the world to overcome the challenges that the GM places before them. The mechanics of the system seem to be fairly pared down, with a focus more on the narrative flow rather than a large body of technical mechanics. The GM never actually rolls dice, and it is a collaboration between the players and GM to determine what the narrative consequences of rolls are. Andrew: I know this isn’t strictly a board game, but hey, the Kickstarter also features a neoprene mat for use with Raiders of the North Sea, and that is a board game, so it qualifies for my list. HAH! 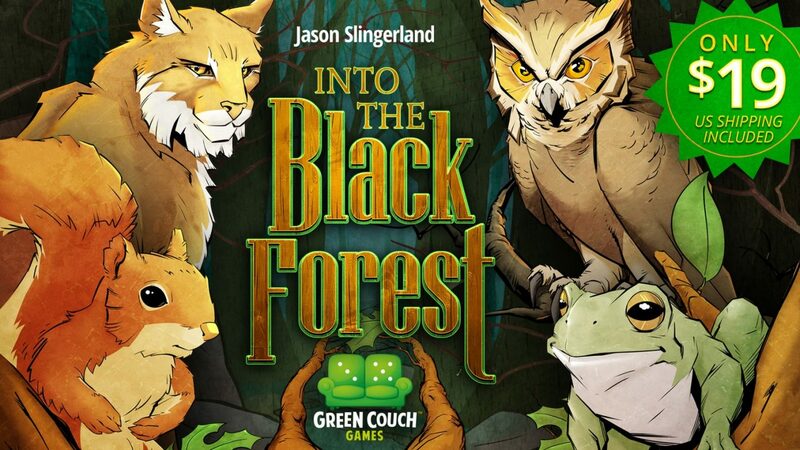 The newest game from Green Couch Games is a gorgeous twist on trick-taking. Each player will manage a hand of cards as they wander through the titular forest, playing cards in order to earn points over the course of several rounds. What makes Into The Black Forest unique is that each round features several different opportunities for players to score, and strategic use of your ever-dwindling hand of cards is needed to both secure points for yourself and to stop your opponents from walking away with a winning score. Andrew: I don’t want to give too much away, because we were lucky enough to get a preview copy from the folks at Green Couch (so you can expect a formal preview soon! 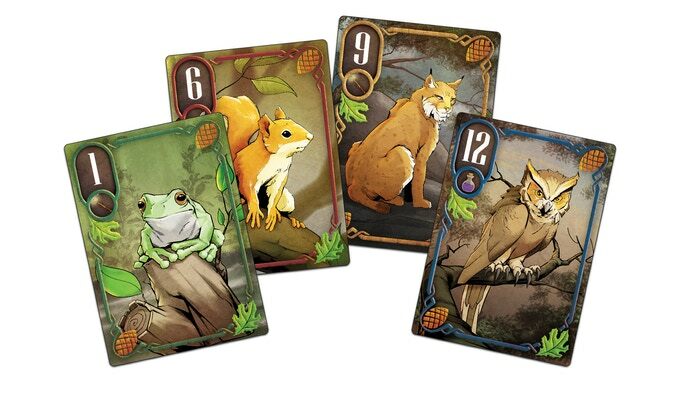 ), but we had a great time with Into The Black Forest even at two players, which is rare for a trick-taking game. Definitely worth checking out!…ok, that pretty much spoiled the whole preview. Ok, I don’t even know where to start. 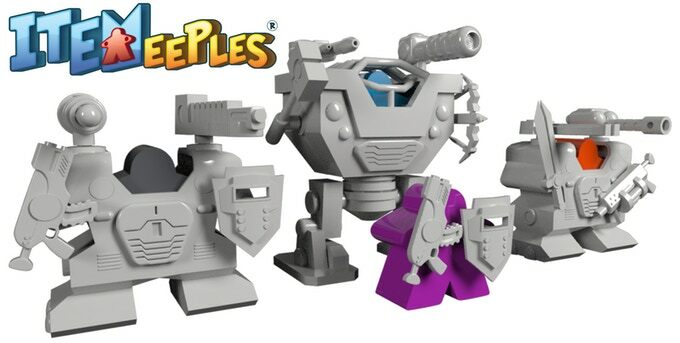 Here’s my pitch for why you need this game – Meeples, yeah?, in Mechs. DONE. From the Tiny Epic mind of Scott Almes (ok, that might have sounded like an insult but it wasn’t I swear), Tiny Epic Mechs is an arena-style programmatic combat game, where players will grab futuristic weapons, hop in robots, and try to wrack up the biggest pile of points. 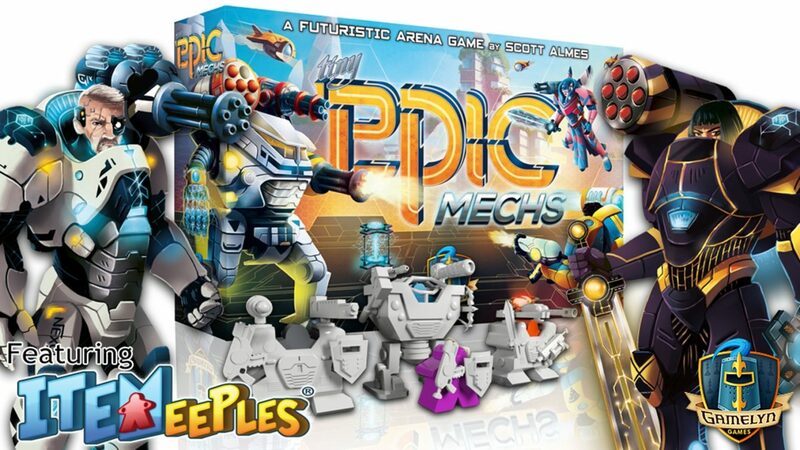 Taking advantage of Gamelyn Games’ signature ‘ITEMeeple’ technology, Tiny Epic Mechs looks to continue the trend of mashing big gameplay into a small box. Andrew: Tiny Epic Meeples is already smashing through stretch goals like there’s no tomorrow, which completely fails to surprise. 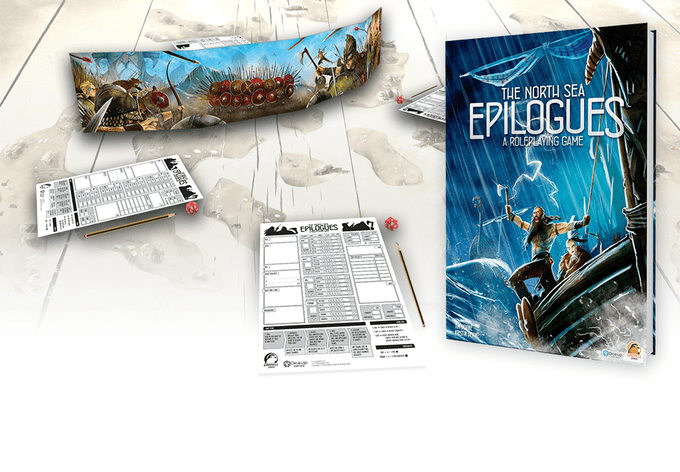 While I have to admit to being a little bit of a Tiny Epic Fanboy (you can have that one for free, Scott), I think this looks pretty darn cool. Well, there you go! Five more Kickstarters for you to hurl your wallet against. Did we miss any that you’d love to see covered? Let us know in the comments below! Now excuse me, I’ve got to go eat just a GIANT pile of cookies. Previous Post:Wanna Win $100,000? Compete in the Eternal World Championship 2019! Next Post:Asmodee Digital’s Board Games Are Coming to Nintendo Switch!